Reading Jalaladdin Rumi is a diversionary summer-vacation tactic to keep at arm’s length Congressional debate over the Iran deal, where arguments that are demonstrably weak are immune from rebuttal. Rumi knew a thing or two about the human condition – and ways to rise above it. 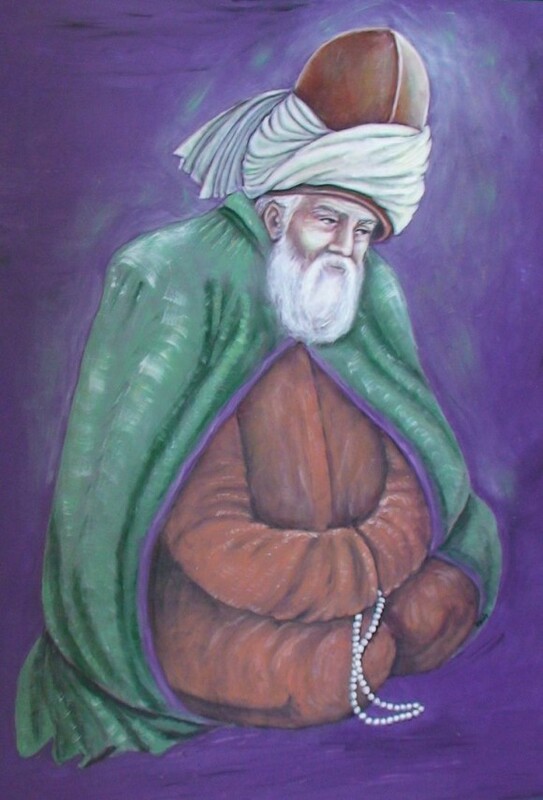 So why not consult this Sufi mystic, born in Afghanistan in 1207, subsequently residing mostly in Anatolia, for counsel? There are good reasons to be in favor of this deal and to be wary of it. But these reasons fail to explain why so few of America’s elected representatives will cross party lines to vote on an issue of this magnitude. No one has offered a feasible diplomatic plan to negotiate a “better” deal. And the military plans on offer involve short-term holding actions, immediate costs as well as long-term, negative consequences. Even so, the partisan divide is nearly impermeable. When President John F. Kennedy lobbied the Senate to consent to ratify a treaty banning atmospheric nuclear testing in 1963, only eight Republican Senators voted in opposition. In contrast, President Barack Obama will face nearly a united Republican front against an agreement that is designed to constrain Iran’s ability to make a nuclear weapon for the next fifteen years. The reasons for this vast shift over half a century in the Republican Party’s views toward nuclear arms control warrant a subsequent post and a dissertation or two. For now, what’s worth noting that the GOP’s opposition has extended beyond strategic arms reduction to a generalized hostility toward diplomacy as a mechanism to reduce proliferation dangers. If the Iran deal is rejected or undermined on partisan grounds, it’s hard to envision how other non-proliferation diplomatic initiatives – think of North Korea, at the outset – could pass muster on Capitol Hill. The intensity of opposition to the Iran deal is so great within Republican ranks that some are already taking aim at funding for the International Atomic Energy Agency, which will be responsible for monitoring the Iran deal. So what counsel would a Sufi master have to offer when one of the two major parties in America has gone so off-kilter? are ways the cloud has to take care of us. “Your old life was a frantic running from silence. To read one who speaks from experience, I recommend Brent Scowcroft’s op-ed in the August 21st edition of the Washington Post. Just ran into the same parable in a Bujold Novel. Guard your honor, let your reputation fall where it will, and outlive the bastards. I’d recommend Hafiz — much more entertaining than Rumi. “The Gift” is a good compilation of his poems. It is strange but the Iran deal is giving me flashbacks of the deal with India and how the right-wing parties reacted to it. The opposition was so intense that it made it impossible for even people like me to determine if the deal could stay in place if the centrist forces no longer ran the country. The same media phenomena – where extreme political voices are given airtime to secure higher ratings – was at work. It unnecessarily vitiated a perfectly sensible debate about balancing the needs of national defense with economic priorities. The Parliament was deadlocked for weeks at a time. Ultimately the deal was ratified, but only after a lot of horse trading took place. The political drama that took place in India at the time spoke volumes about the extent to which corruption and apathy had penetrated key democratic institutions. I feel we will see something similar in the US. The fact that the Republicans will put up a fight is not terribly interesting to me, but I am curious to see what is traded in return for the eventual capitulation. Supposedly, hard right-wingers have always rejected diplomacy, except in hind sight. Not sure it explains the present impasse, where all Republican Senators (save one undecided) reject the Iran deal. Has Republican rejection always been this unanimous – or is this a new low for diplomacy? This is new territory for the DC-based Republican Party. Every science has its great discoveries. Political science has recently discovered that the incumbent will generally (and irrationally) be blamed for the other side’s bloody minded resistance, and the resulting paralysis. …and this is why, when the aliens invade, I’m switching sides. Humans stink at governing themselves. Health care is a great example. Dems tried hard to do make health care more accessible and less costly in the Clinton and Obama admins and got completely hammered in Congressional elections. I now fear this applies to non-proliferation diplomacy. If you like aliens, you should watch “Extant.” The series ominously intones that 99% of species have become “Extinct.” There are three competitors to humans: highly intelligent alien spores that inhabit outer space, fast-growing alien-human hybrids with a telepathic power, and artificial human-like robot/androids. No word yet on how these three alternatives govern themselves, but there will be a Darwinian struggle between these alternatives and the humans. At least for now, the humans have rejected diplomacy in favor of military action, reasoning that the alien offer is insincere and would leave the humans in a weakened position. It’s curious the author has left out Rumi was Iranian and the translated poem was from Persian. Not a peep. Perhaps it was meant to be implicit-albeit an implication a little too ‘nuanced’. Is there any possibility at all that the Iranians would use an American rejection of the agreement as the justification/excuse for leaving the NPT via article 10? It seems to me that at least in theory the Iranians could argue that the entire process of entering into negotiations, making concessions, only to have the agreement unilaterally rejected by the US would constitute “extraordinary events, related to the subject matter of this Treaty, [that] have jeopardized the supreme interests of its country.” Might not China, Russia, and particularly India be sympathetic to such a development? My guess is that Iran’s leaders would not react so abruptly and decisively in the event of Congressional rejection. Instead, my sense is that the Supreme Leader will say “I told you so,” the current government would be devastated, as would young people who favor change and this deal. A new hard-line government would come into power, sanctions would fray, case by case, country by country, starting with China and Russia. Inspections by the IAEA would be circumscribed. The Additional Protocol won’t happen. R&D on new centrifuge designs would be unconstrained. Existing infrastructure would not be taken off-line. Time lines for breakout and sneak out greatly reduced. Worth considering when arguments that undermine the deal are offered such as the timeline for breakout might be diminished from twelve months to seven or eight months — fifteen years from now, or ten years from now.